To easily remove traces and sticky dirt from the wash-land basins or on tiled walls. Product Ples:Efficient even without detegent:more environment-friendly thanks to the fineness of the microfibers,these products are designed to absorb water and grease quickly and effectively without effort and even without maintenance products. Instructions for use:Use PE mesh side to scrap lightly bath tub or shower room without risk of scratching and use the other side to clean and dry the surface with super absorbency. You can use this two-sided product to clean your house with less-effort and more convenience Keep this 2-in-1 pad around home for high cleaning performance. To preserve all the exeptional properties of the microfiber,don't use any softeners or chlorine. 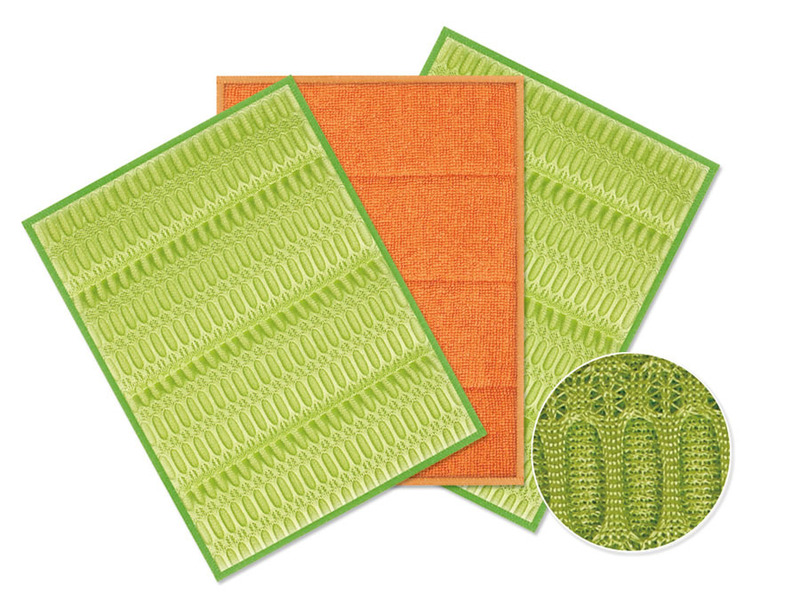 Looking for ideal Microfiber Cleaning Pad Manufacturer & supplier ? We have a wide selection at great prices to help you get creative. All the Microfiber With Sponge are quality guaranteed. We are China Origin Factory of Microfiber Sponge Pad. If you have any question, please feel free to contact us.